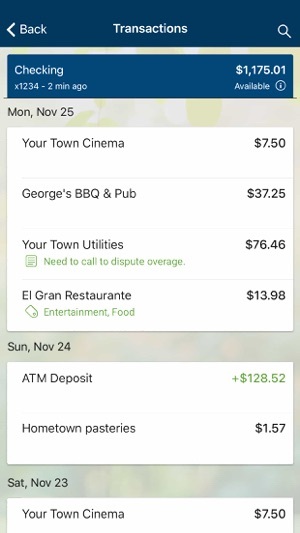 Commerce Bank of WY Business Mobile app is your personal financial advocate that gives you the ability to aggregate all of your Commerce Bank of Wyoming accounts that are enrolled in Business Online Banking into a single view. It’s fast, secure and makes life easier by empowering you with the tools you need to manage your finances. 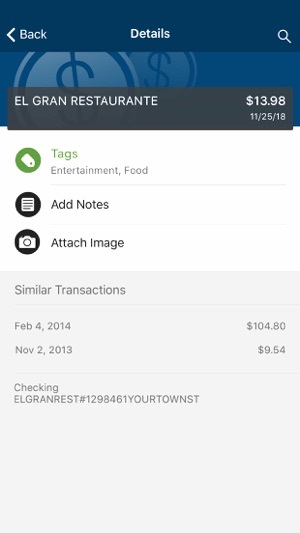 • Keep your transactions organized by allowing you to add tags, notes and photos of receipts and checks. 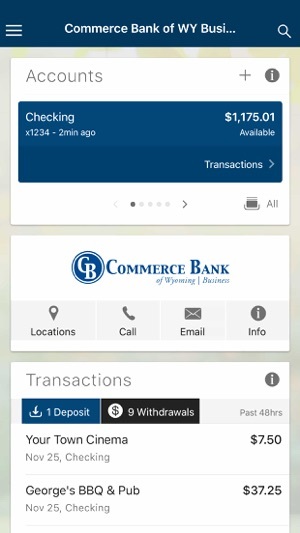 To use the Commerce Bank of WY Business Mobile app, you must be enrolled as a Commerce Bank of Wyoming Business Online Banking user. 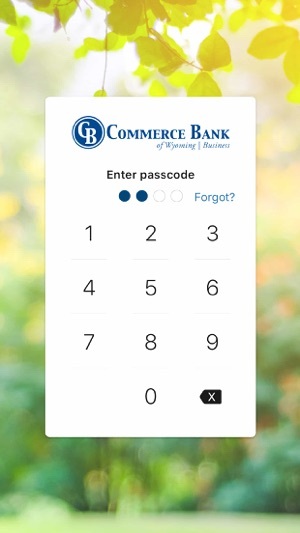 If you currently use our Business Online Banking, simply download the app, launch it, and login with the same Business Online Banking credentials.